Full of fascinating historical highlights, Budapest is sometimes referred to as the “Paris of the East”. The capital of Hungary is one of the most interesting metropolises of Eastern Europe in terms of its cultural heritage. The area has been inhabited since the Stone Age, but today’s Budapest has its origins in the amalgamation of three towns—Pest, Buda, and Óbuda. Since the second half of the 19th century, the city has been the administrative, cultural, and economic center of the country. The city of Budapest holds many attractions which can be easily discovered with a rental car. With Driveboo, you can compare different car rental offers and book your rental car directly online. Where is it best to rent a car in Budapest? Due to its size, Budapest offers a wide variety of car hire companies. 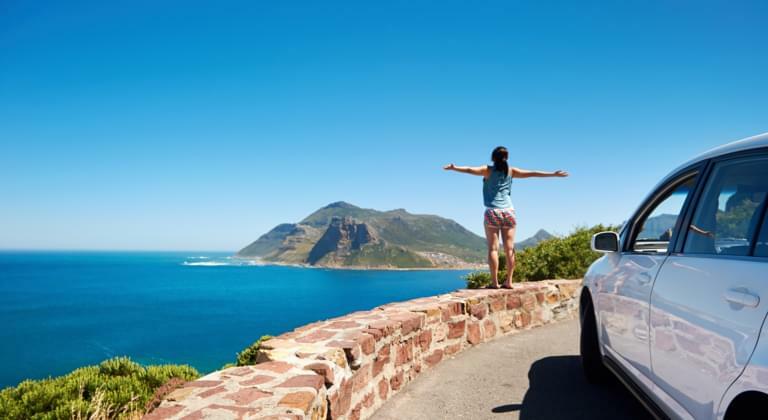 However, if travellers are planning on arriving by plane, they can rent a car from one of the plethora of car rental companies located at the airport. The nearest airport to the city centre is Budapest Airport (BUD), which can be found 22.4 km away. With multiple car rental companies at this airport, you can start your journey around the region right after touchdown! Hungary accepts driver’s licences which were issued in the EU. However, remember that you always have to carry it with you. Without a photocard licence, you will be required to have an international driving licence. Third party cover is mandatory while driving around the country, and you should carry your insurance certificate with you at all times. The minimum driving age is 18. However, when hiring a car, you will be required to be at least between 21-23 years old. Additional charges are applied if drivers are younger. You should always drive with dipped headlights outside of urban areas. Drivers are required to give way to public transportation vehicles. Spare headlamp bulbs are mandatory. You are forbidden to use your horn unless there is an emergency. Drivers must not use mobile phones while driving. Texting is forbidden as well. However, you can use hands free kits. Are there any toll roads in Hungary? What are the speed limits for cars in Hungary? What is the permissible level of alcohol content in Hungary? The permissible level of alcohol content in a driver’s blood is 0.00%. Budapest is full of interesting tourist attractions. Therefore, if you want to explore them thoroughly, you need to spend at least a few days in the city. All types of tourists should leave Hungary’s capital satisfied as the city offers a huge variety of highlights ranging from stunning vistas and interesting museums to lively bars and restaurants. The best place to start your journey around Budapest is the Buda Castle and Castle Hill. This whole area is a treasure trove of interesting sites to explore. The Buda Castle was erected in the 18th century and boasts around 200 rooms. On Castle Hill, you will also find such highlights as the Hungarian National Gallery and Budapest History Museum. When you’ve seen all you want, you can take the Castle Funicular Railway down to the city. Another notable highlight on the banks of the Danube is the Parliament Buildings. It is the world’s largest complex of this type and a great example of neo-Gothic architecture. Nearby, you will find the Museum of Ethnography. St. Stephen's Basilica of Budapest is another popular spot among holidaymakers. It is a showcase of impeccable architectural details—both when it comes to its interior and exterior. Inside, you will have a unique opportunity to admire the five-part Venetian mosaic representing allegories of the mass. Those who are into outdoor activities should definitely take a walk along the Danube Promenade. The river is 640 metres wide, and along its bank you will find an interesting memorial site, namely Shoes on the Danube Bank. It features 60 pair of steel sculpted shoes which are supposed to commemorate the genocide that took place here at the hands of Nazi soldiers. The scenic Gellért Hill is yet another attraction that is worth visiting. The area offers a beautiful view of the city. Nearby, you will also find such picturesque places as the Citadel, Jubilee Park, and the Great Market Hall. After immersing yourself in the city’s history—as well as experiencing its cultural and entertainment venues—you should definitely consider exploring the wider region. This can be easily done with your rental car.